So what happens when the King of Bollywood meets the Queen of Racquets? An explosion of talent with admirers and fans striving to take a look at their idols. 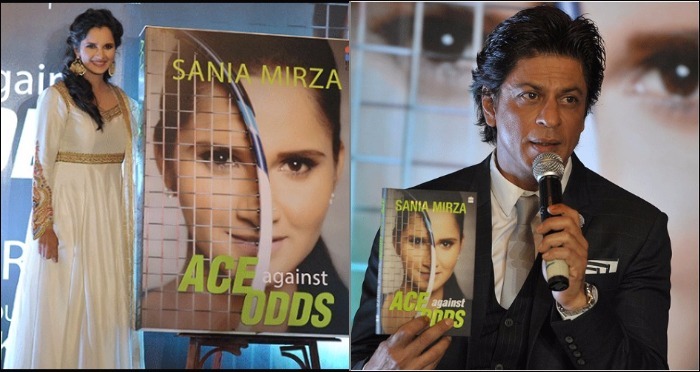 That’s exactly what happened when Shah Rukh Khan launched Sania Mirza’s autobiography, ‘Ace Against Odds’, recently, in her hometown, Hyderabad. Shah Rukh, who is a huge fan of the ace tennis star, was all praises for her, and even went on to say that if ever there was a movie planned on Sania, he would gladly buy the rights for it. The 50-year-old actor went all gaga and candid interacting with the paparazzi, at the event. He said that there was no bigger achievement than being a woman in this world, and the more love and respect we shower on them, the more Sania’s we will get to see in our country. The tennis star too was overwhelmed by Shah Rukh’s words and went on to add that she could not have asked a better person to launch her autobiography. 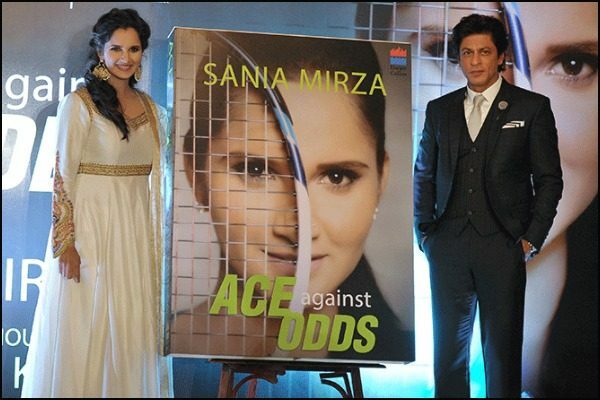 The book, ‘Ace Against Odds’ captures Sania’s journey so far, encompassing her whole life, and the ups and downs she has faced in life, before she became the number one Doubles Tennis player. Published by Harper Collins, it is available across all the bookstores, online or offline, in India. Well, this was one amazingly entertaining event.